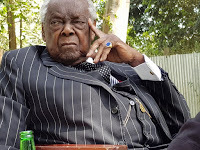 Monday December 12, 2018 - Former Attorney General, Charles Njonjo, has offered a piece of advice to those men and women who want to live close to 100 years. 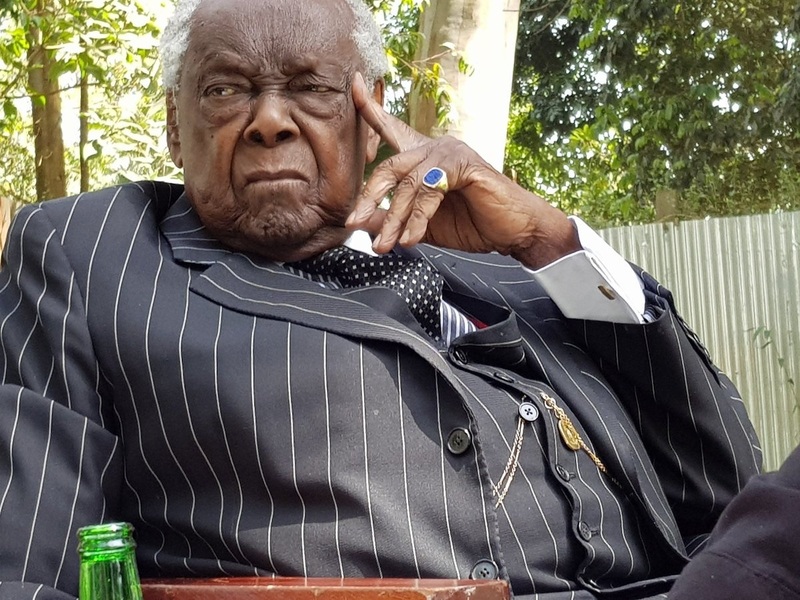 Njonjo, 98, is the only surviving member of Kenya's Independence Cabinet where he served as Jomo Kenyatta’s Legal Advisor. In an interview with a local daily, Njonjo who in social circles is known as the “Duke of Kabeteshire” said swimming and bike riding are among the activities that make him stronger. "I look after myself. I swim daily; I used to do 12 laps, now I do only seven. I also have a bicycle which I ride for 10 minutes daily, on top of the treadmill which I do for 10 minutes daily," Njonjo said. The nonagenarian said in addition to physical exercises, he is mindful of his diet but admitted that in rare occasions he takes a bottle of beer which must strictly be a cider. "I’m also careful about what I eat; I don’t eat nyama choma, I eat a lot of veggies," Njonjo said. Born in 1920 in Kabete, Njonjo attended Alliance High School and later acquired two law degrees from Fort Hare University in South Africa and United Kingdom's Lincoln's Inn. He joined the Government in 1963 after he was appointed as the first black Attorney General by President Mzee Jomo Kenyatta. He is also a billionaire.